Gotta say, we absolutely love working with Changing Lives Through Nature. 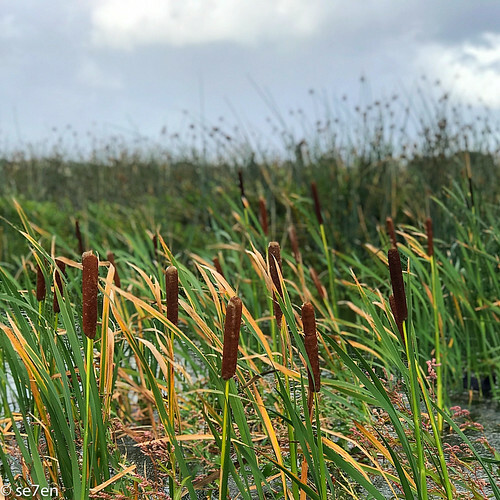 The last time we spent a day with them we spent an entire day celebrating World Wetlands Day. And what a celebration it was. 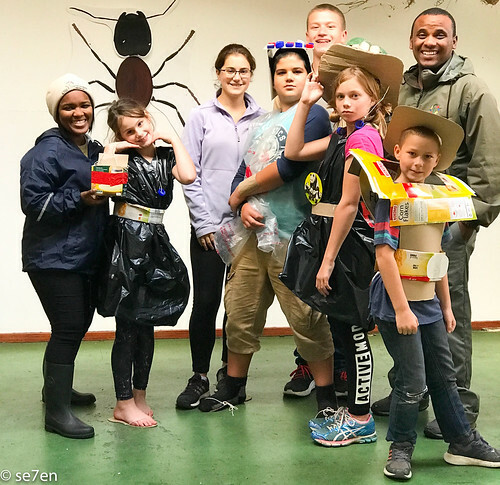 This award winning team provides nature themed outings and education days, incredible camps and amazing days of learning in the great outdoors, for students from schools all over the Western Cape. 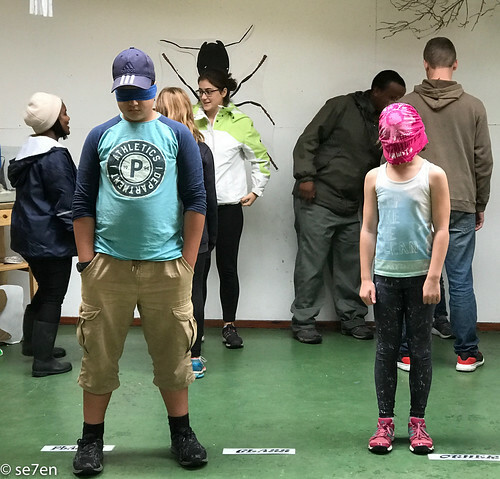 Every couple of months they have a Nature Club Day open to Homeschoolers and you really really want to join them for these adventurous days. 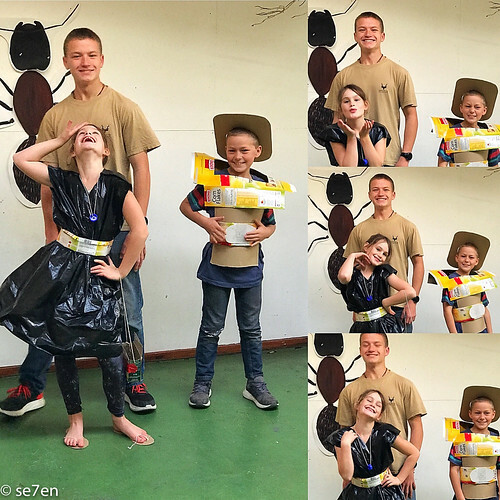 Last week we joined them for a day of learning to be Waste Warriors. 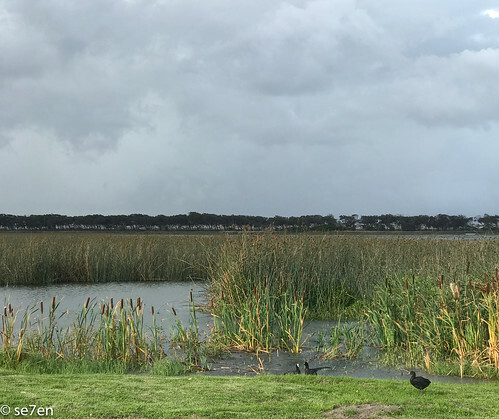 After Cape Town has survived years of learning to conserve energy because of load shedding, and practicing extreme water management as we find ourselves in the heart of a drought, our next crisis is definitely going to be a waste management problem. We are going to have to learn to manage our garbage a lot better as we run out of space to put the garbage that we create. We need to understand exactly where our garbage goes before we can start to managing it better. Household by household we could be creating a lot less garbage, we just need to know how. 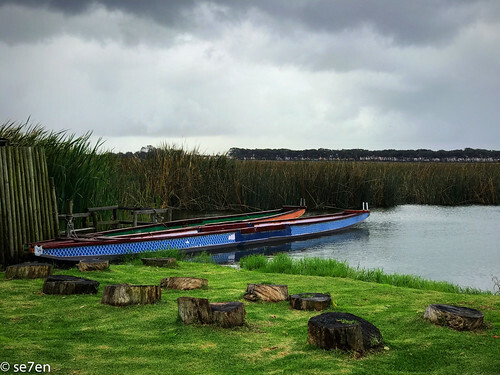 On possibly the stormiest day that Cape Town has seen in years we were a little bit nervous about spending the day in the great outdoors… but turns out they have plenty of space for wild play and active learning indoors. 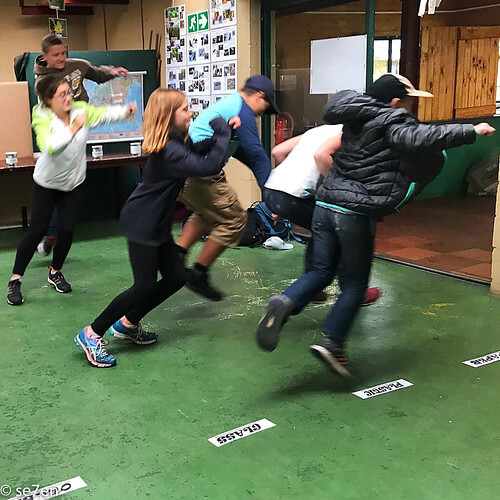 We began our day with some wild games. 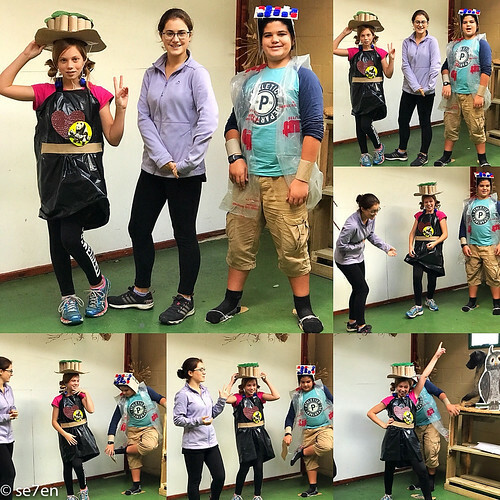 Sorting garbage at speed and then blindfolded, and discovered just how hard it is to be accurate when you are sorting garbage. 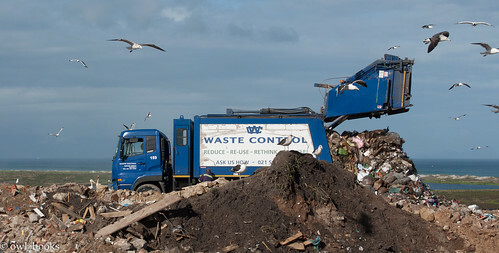 This was followed by a discussion on waste management and raised the question, even though thousands of households recycle in Cape Town and it gets collected on garbage collection day, where does our recycling actually go? 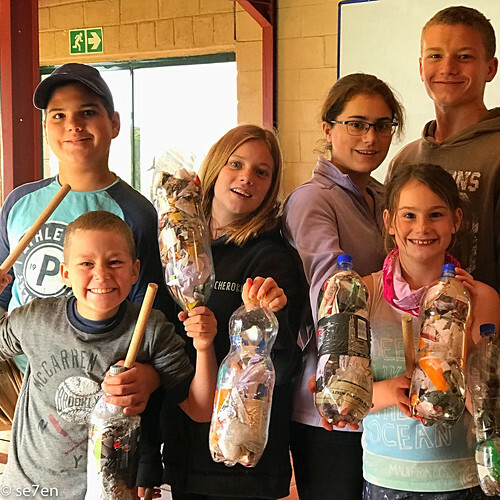 What actually happens to our household recycling, it is all very well to recycle… but does our recycling actually get sorted? 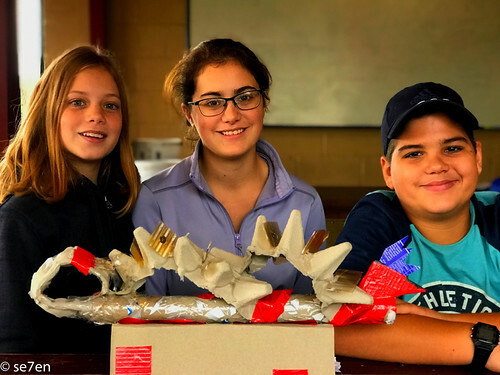 Our next task was to invent some new animals, created from a pile of recycling, with the help of tons of tape and project glue they set to work enthusiastically. Each animal needed some documentation, explaining where they live, what they like to eat and if they have any special features. 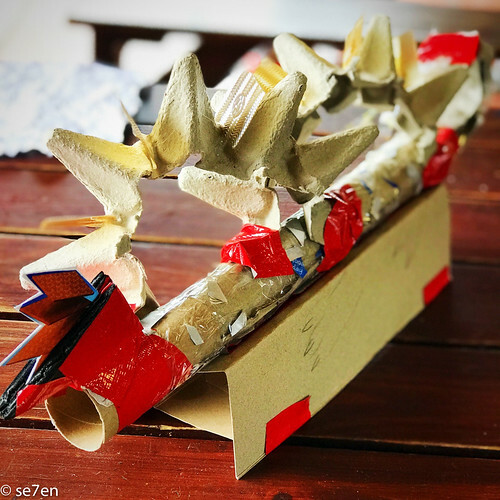 They clearly had a great time creating these… what is not to love about inventing a new and fantastic animal. 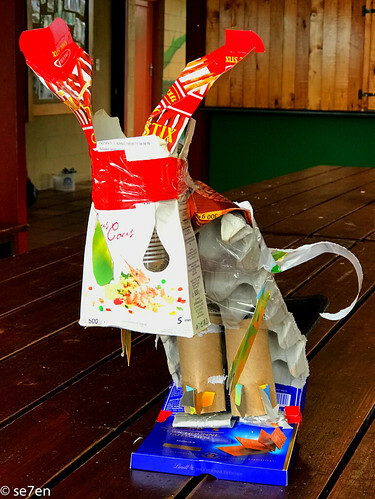 After lunch we dived into a mountain of trash and turned it into eco-bricks. 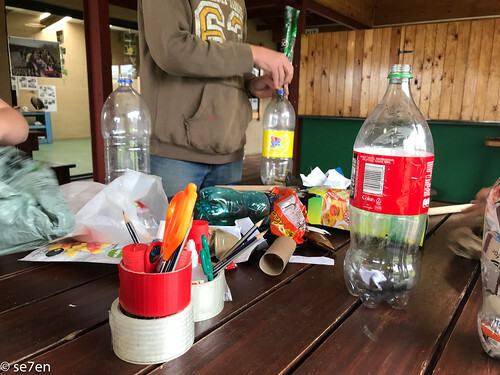 It is not as easy as it looks… non-recyclables have to be squashed into soda bottles, these bottles will be used for community building projects. 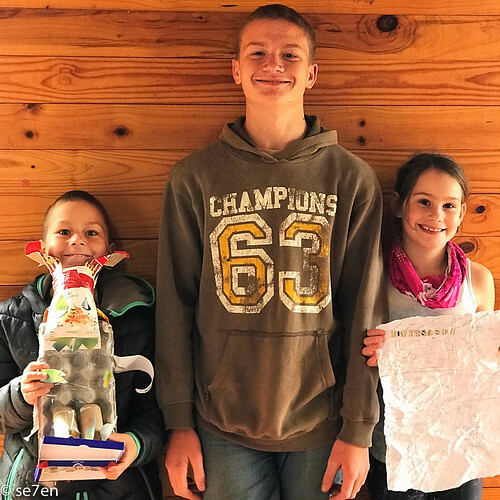 You can read about how to create eco-bricks here. 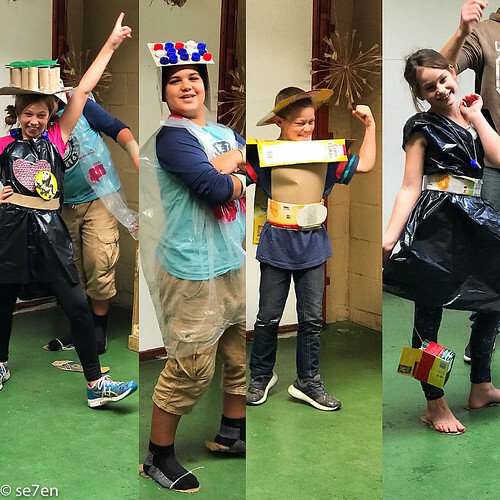 Wild fun of the best kind… who knew this gang could be models and that they would make a fashion statement… all in the name of green living. 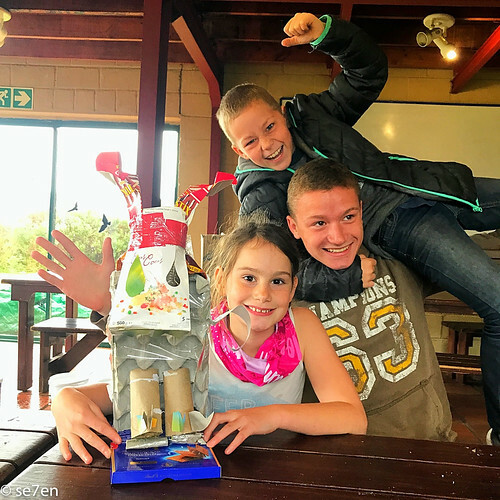 Huge thank you to Changing Lives Through Nature and CTEET for a fantastic day of learning… if you want to know more about their programmes then take a look at their websites. 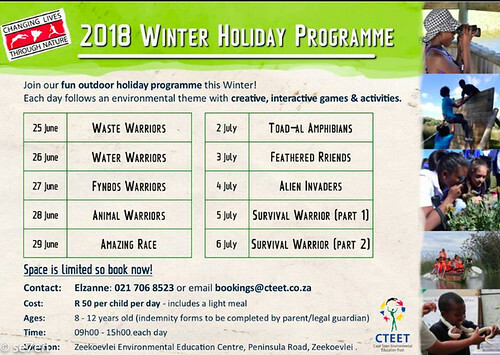 Otherwise they do have a holiday programme planned for the upcoming holidays… take a look and go along. Your kids will have the best time ever.